This will be most likely be my last post for a week or so as I’m taking the opportunity for a bit of a break and hit the road myself. Lush green hills glistening in the late season sun as passing showers naturally desaturate the coastal plains of the background. ~ by Tony Middleton on May 23, 2010. I’m gonna miss you son! thanks Mark – It’s a type of shot that I’ve wanted for years around here…I’ll be back before I know it buddy. lots of images and blogs to catch up on when some time permits (i’m sure there will be some nights in front of the fire that will permit this over the coming season). Very effective simple, almost abstract landscape shot. I like it. nice Tony- did you sit there waiting for the light for very long or was it there when you first set up? it’s fantastic with that one hill lit up like this. Yeah I did actually wait a while..like years ! many busts or just not quite what I wanted with this type of shot, but I played about for a few hours this day before I got this series of images. 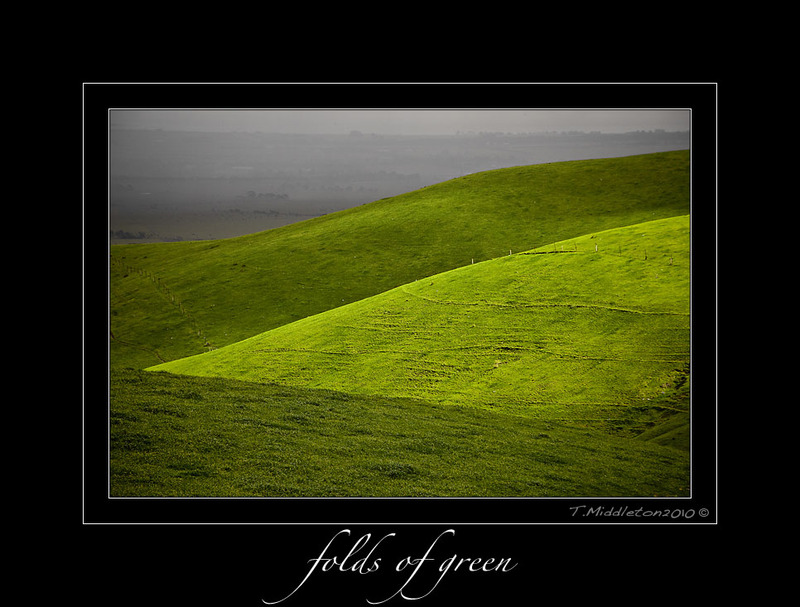 Nice to see those rolling Gippsland hills nice and green. Nice shot Tone, love the light play here very abstract and love those greens as well. hey Michael – yeah it is that very play of light that I had wanted and waited for many times. Nice & Simple & effective! Have a good trip! Great work here Tony, still can’t believe that we saw you last week, just incredible coincidence. Love it mate, green hills win every time.